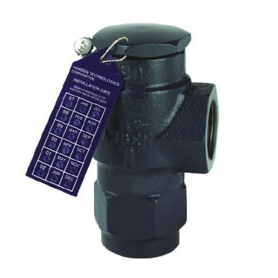 Each valve bears the ASME code symbol of certification (UV). Their capacities are rated by the National Board of Boiler and Pressure Vessel Inspectors. These tamper-resistant valves are accurately set and sealed by qualified technicians at the factory.